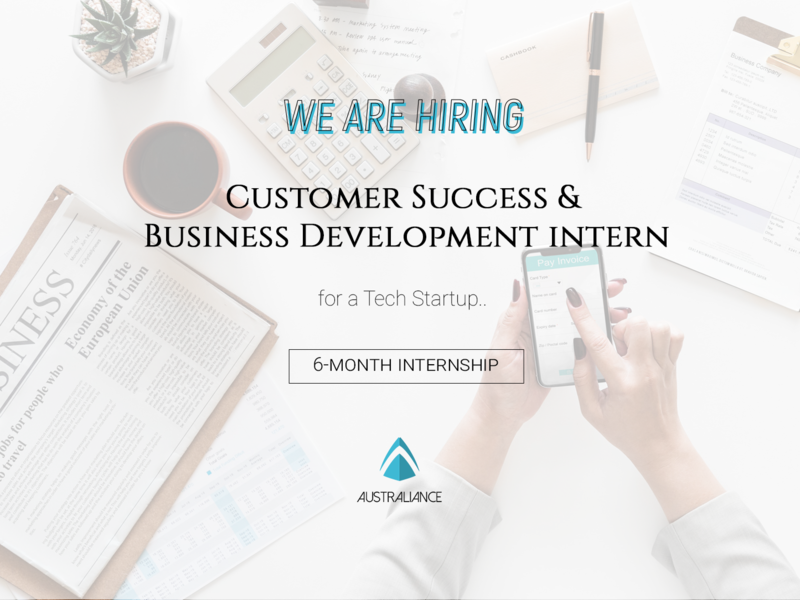 Australiance is looking for a Customer Success & Business Development intern for an amazing Tech start-up. If you are interested in being fully involved in a great environment and have the possibility to be autonomous in your task, don’t hesitate to apply! You’ll join the team based in Sydney’s CBD. This company is creating a SaaS solution that enables organisations to provide a secure communication channel between them and informants, willing to disclose information anonymously. The challenge lies in creating a product that is generic enough to be relevant to several industries as well as to different applications: their clients include large corporations, medias, schools, government agencies, that are using them to investigate on matters ranging from bullying to honest employees’ feedback, including sensitive tips to journalists. Another interesting challenge is finding the right balance between the security/confidentiality and the usability. It is a non-paid internship but benefits are provided: a contribution to expenses (e.g: food, accommodation, travel) of AUD2,000 per month (depending on candidate’s profile), and other benefits include invitations to sports events and regular team exercise! We will assist you to come to Sydney so you can experience the services we offer to young professionals.